Ivanka Trump spoke of her dream of space exploration as she toured NASA’s Johnson Space Center Thursday. Interestingly The Daily Mail, a British establishment media, highlighted her fashion “chic white suit and Mary Jane flats” equal to the science. Ivanka, 36, visited with Republican Senator Ted Cruz, Administrator Jim Bridenstine, other officials and local students. 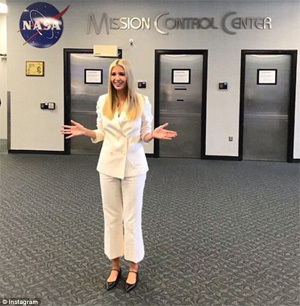 The first daughter was given a guided tour of the space center, including the facility that holds a full-size copy of the International Space Station. 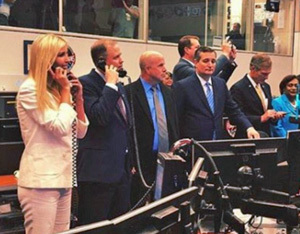 During the tour of Mission Control, Ivanka called the International Space Station crew and revealed that they have her “dream job.” Click here for more from The Daily Mail. From abundant photos, it appears Ivanka had the most fun with local high school students under the tutelage of NASA engineers. The Daily Mail wrote, “Ivanka also met with local high school students who compete nationwide in robotics competitions with the help of NASA engineers. “The mother-of-three has been an advocate for increasing science, technology, engineering, and mathematics (STEM) programs for children, and she promoted her visit on her social media pages on Thursday. “It has been a busy week for Ivanka, who spent Tuesday and Wednesday celebrating Yom Kippur with her family,” The Daily Mail noted. Click here for the full report from The Daily Mail. 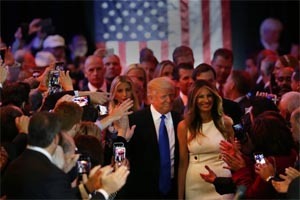 It is astounding American Media are so sick with Trump Derangement Syndrome that they ignore clear evidence the Trump family demonstrates more beauty, fashion and social grace than any previous First Family in American history. More directly declared; in majesty and sophistication, the Populist Trump family puts the Globalist Bush and Democrat Kennedy families to hillbilly shame. This entry was posted in Science on September 22, 2018 by admin.